Stars Hollow. The most gorgeous and picturesque fall town there has ever been. 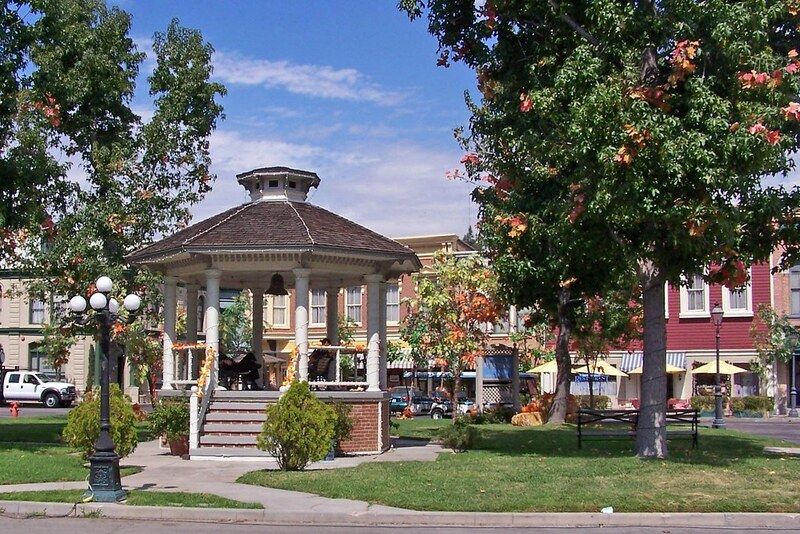 From the gazebo in the center of town to Stars Hollow High, to Ms.Patty’s dance school, to Mrs.Kim’s antique shop; every scene is painted like the perfect fall picture. 2. Lorelai and Rory’s clothing. The signature style of this duo always seems to be fuzzy sweaters, jackets, jeans, boots, and of course a scarf. 3. Luke’s Diner. Something about seeing Luke is his plaid shirt and backwards hat just makes you want to order a burger with a side of hot coffee. 4. Emily and Richard Gilmore's house. 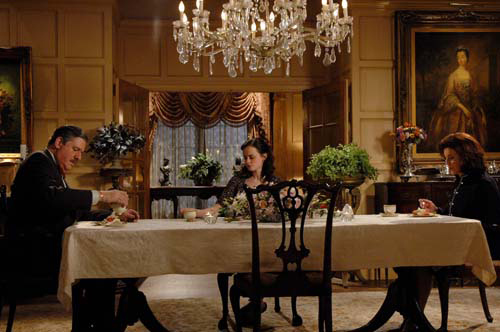 When Lorelai and Rory go to Richard and Emily’s for dinner every Friday night, you can sense the dark and cozy atmosphere. The fireplace in the living room, with the neutral color scheme of the house, just screams fall! Not to mention all of Emily Gilmore’s outfits! 5. The Independence and Dragonfly Inn. If you have ever seen the show then you know how much Lorelai loves her inn. The fact that Lorelai works at an inn through the entire shows, brings a different level of community and love. There’s something about an inn take just makes you think about a cozy fall day! 6. Sookie’s cooking. There are many different dishes and creations that Lorelai's best friend Sookie tries to cook up. Some of her best dishes include jalapeno chipotle mac and cheese, rocky road cookies, and cheese puffs, which are the best fall comfort foods yet. 7. Hot coffee. 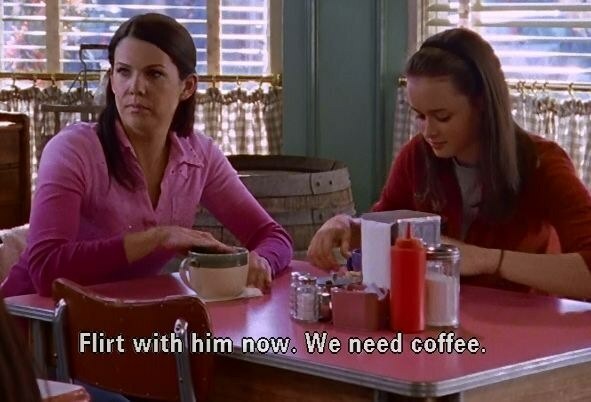 If you are a fan on Lorelai and Rory Gilmore in the slightest, you are very aware of their addiction of coffee, which very well could be considered a medical issue. 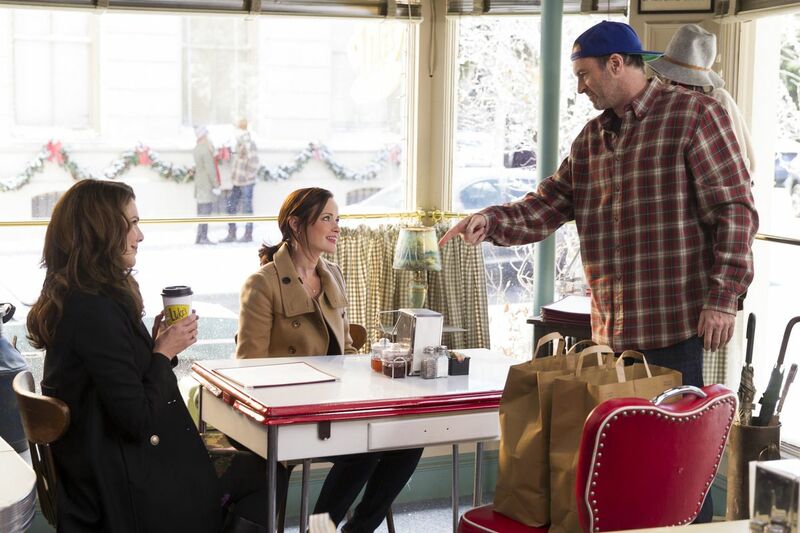 Lorelai and Rory only drink hot coffee, and probably have around three cups each every episode. Hot coffee is always one of the best things to have on a cold fall day or night! 8. A Deep Fried Korean Thanksgiving. This is the absolute best Thanksgiving episode ever!! 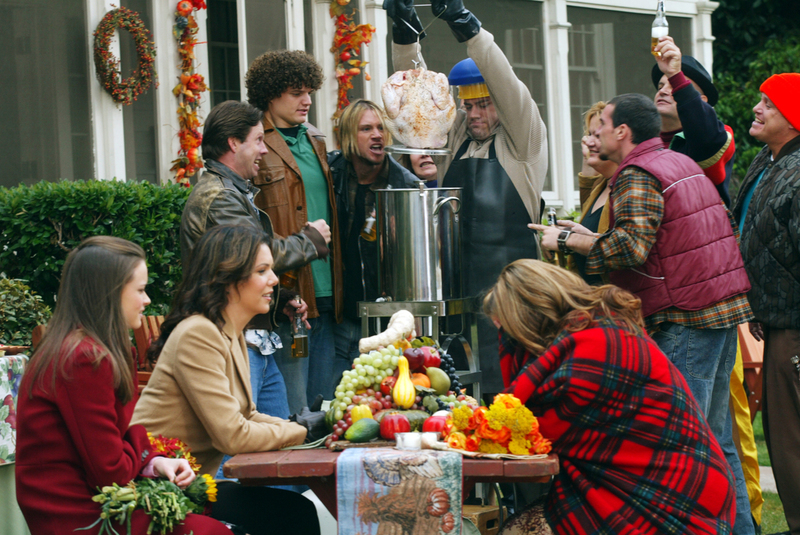 Lorelai and Rory try to manage to go to four different Thanksgivings all in one day, and the chaos is obviously crazy. one last time, producers and directors decided to name the last first episode Fall. There were four different episodes in the revival, but in my opinion, the episode Fall was obviously the best! Stonehill College class of 2020!